Cloudy skies this morning will become partly cloudy this afternoon. High 83F. Winds SSW at 10 to 20 mph..
Boasting a large open layout between the dining, living, kitchen (with a sizable island), and eating rooms, this ranch design, No. 45-578 from ePlans.com, is ready for entertaining. 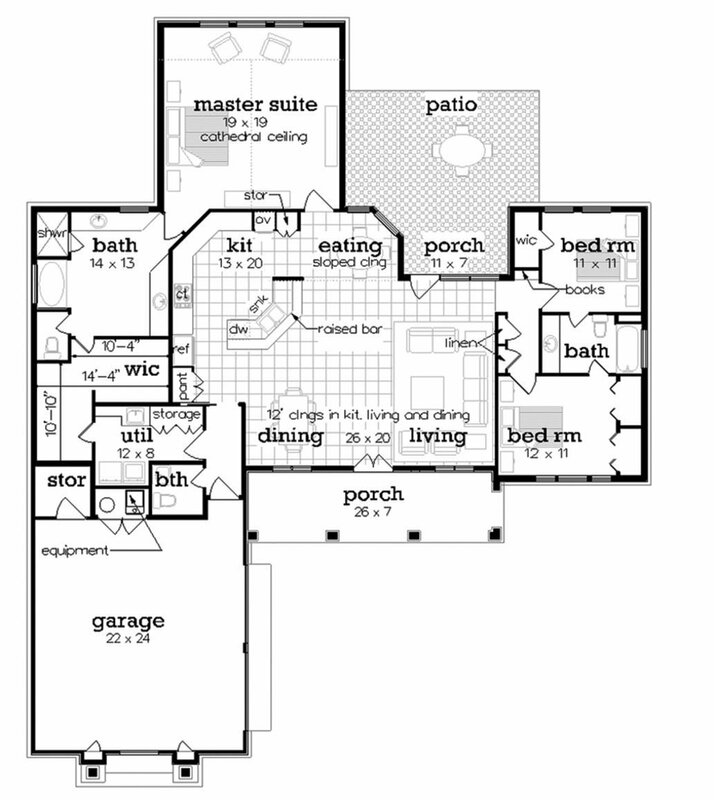 Two bedrooms and a bathroom reside to the right of the floor plan. 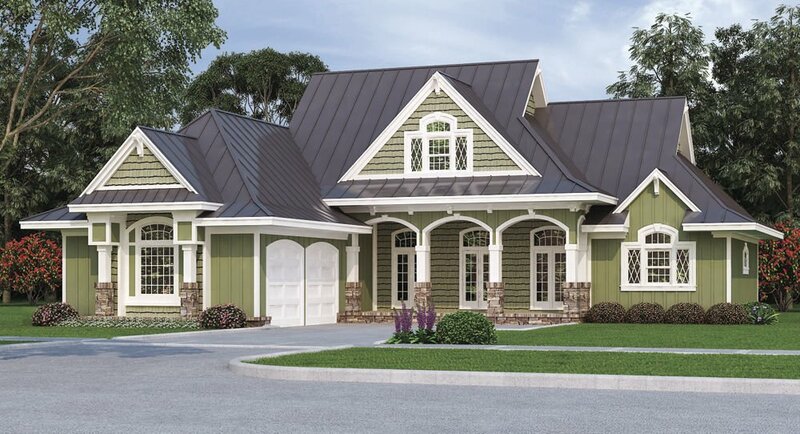 At the back of the plan, homeowners will love the peace and quiet of their secluded master oasis (and soaking in their large master bath). Great weather? Host guests on the front porch or the rear covered porch and patio (that includes a skylight). At ePlans.com/HouseOf-TheWeek, you can view previously featured plans, browse other specialty collections, or use the search filters to help you find exactly what you want from over 28,000 home designs. Most plans can be customized to suit personal preferences.